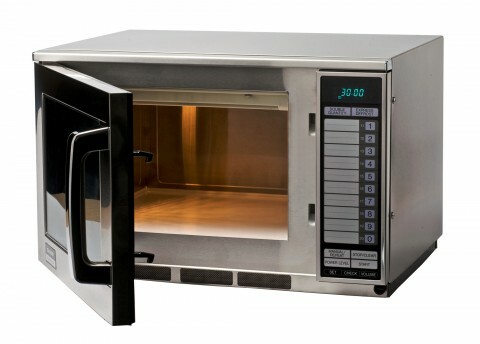 If you have a busy catering requirement such as a pub, restaurant, school, college, university, or hospital, then the Sharp R-24AT heavy duty commercial microwave oven may be what you need. It is designed for these large establishments which need a reliable and powerful microwave oven. It has 20 pre-programmable menus and a stackable design. Microwave output is 1900W and it contains Sharp’s feature express defrost technology and counter check options. Counter check means that at the end of the service, workday or shift you can check which of your menu items have been the most popular options with your diners.